Speaking of special occasions, then I suggest you to try on this adorable, evening number for very important events. Semi-sheer design should be flawless and airy. I advice you to try it on with a black, slim-fit blazer. The following LLD (little lace dress) is an ideal design for weddings. Try it on with black heels. Keep it boho inspired with a Paisley print. I love the way this model appears with high-heel sandals. Here we see another slim-fit number with a naked back. That's a real must-have for those women who want to draw everyone's attention. Here we see a delicate design with a flared skirt. This piece reminds me of ballet ensemble. The floral lace and shiny stones are ideal additions to any woman's outfit. Keep it chic and very sweet. You can embellish your new look with a floral headband for making a real statement in the crowd. This gown might be your wedding must-have. Try it on at the beach for a lovely sophisticated spin. Here we see another cute design that is updated with a straw trilby hat, mirrored aviator sunglasses, chic mannish handbag and cowboy boots. I really want the dress that she is wearing boots and hat and sunglasses. Where can I find that dress. 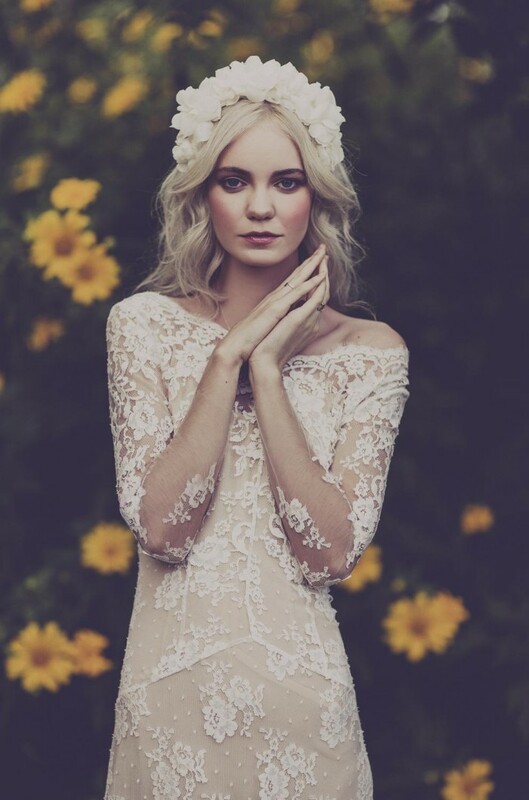 I’m looking for the short white lace dress with cap sleeves the one with the model sitting down with a flower. Any one know where to buy this? I looked on the “where to buy sites” but can’t seem to find it. Where can i find the white lace dress long one? With the model is appearing in two pictures, one alone and in the orher one With another model?? I’m on a mission to find the cute white dress in the pic with the girl wearing the mirrored sunglasses, shrug boots, and hat – thoughts? Also, who is the designer?